ABUJA (NEWS AGENCY OF NIGERIA)--The Economic and Financial Crimes Commission(EFCC) has boosted the Federal treasury with the sum of N1.37 billion, which no one stepped out to claim since August. 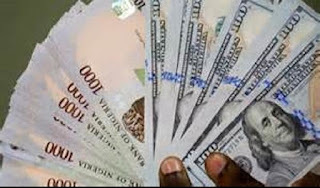 Justice A. Obiozor of the Federal High Court in Ikoyi, Lagos ordered the final forfeiture of the money, which was made up of N1,260,000,000, $327,132.35, £167.85 and €157.90. The money which was kept at Heritage Bank Pls under the name of Secure Electronics Technology Limited, was seized by the EFCC, following an intelligence report from a whistleblower. The company in whose possession the funds were found did not lay claim to them and it surrendered them for forfeiture. He , therefore, urged the Judge to order the funds to be permanently forfeited to the Federal Government.